The dwarf gene, max factor and hippos. Photographs and information on this page although of an informative and scientific nature, may offend or distress. Breeding rabbits isn't all cute fluffy happy endings. There are the obvious concerns such as finding homes for all the babies. Scattered litters, the over zealous mum who takes her cleaning duties too far and chews off the odd ear, cannibalism to abnormal kits. There is a great deal to contend with. There are several different types of abnormal kits you may come across if you are breeding mini lops (some are found in other dwarf breeds of rabbit too). The most common form of an abnormal kit is the peanut. There are three sizes of miniature lops, true dwarfs, false dwarfs and 'peanuts' or double dwarfs. Their physical appearance is explained below. These are the ones that do well out on the show benches and continue to do well into adulthood. Generally speaking they are the ones that conform best to standard. They are short in back, short in ear and sometimes have smaller back feet in comparison to their false counterpart. Some false dwarfs are bigger than true dwarfs by up to ½ pound in adulthood. They are much longer in ear and back. 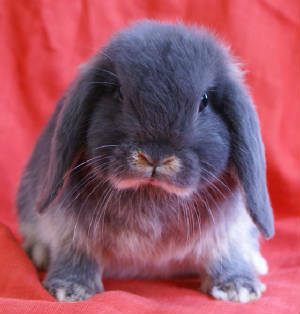 They are similar in appearance to a dwarf lop (although slightly smaller and lighter in weight). Occasionally these will show well as under fives, but never show well as adults. Adult false bucks are of little use to an exhibitor. Many prefer false does for breeding as they are considered them best for carrying and kindling. 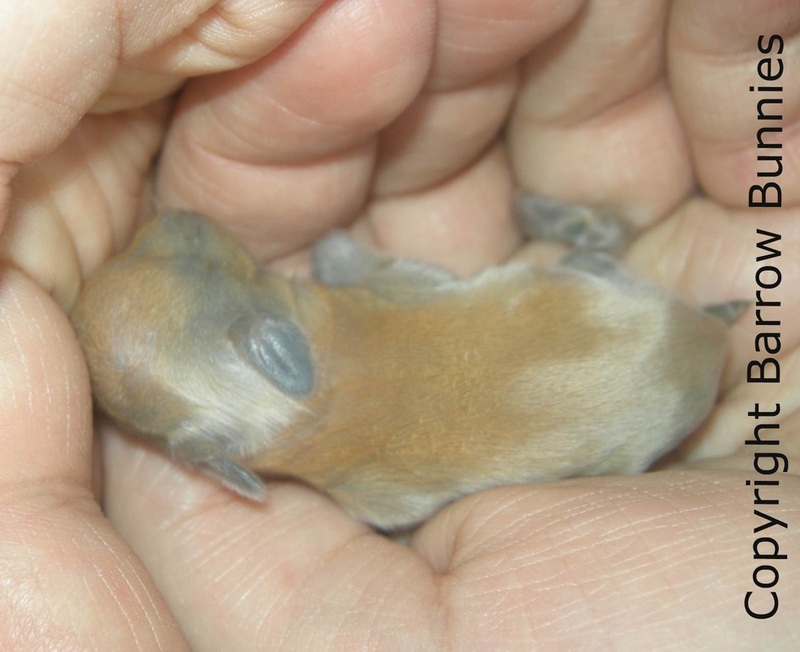 Peanut kits are easily identifiable as they are usually a third of the size of their litter mates. 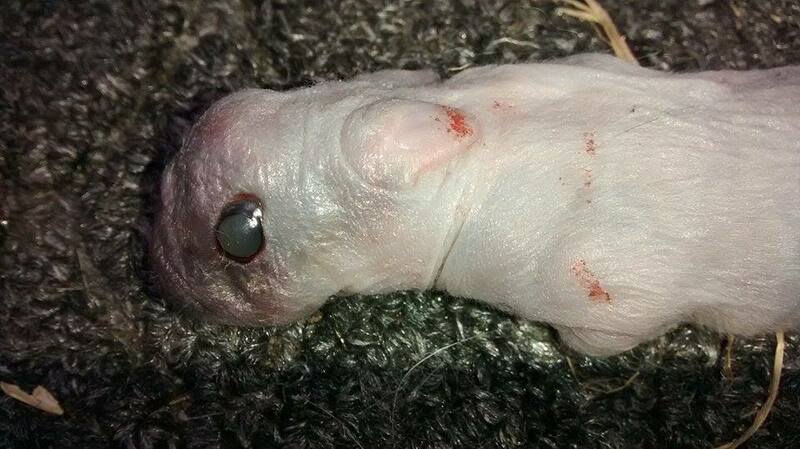 Their eyes are usually bulging, the ears very small and the pelvis area and limbs are smaller than normal. Peanuts occur when two true dwarfs are bred together as they are the result of the double true dwarfing gene. It is a congenitally defective kit that fails to thrive. Some will be born dead; others will survive a few hours or days. In rarer cases it may survive several weeks, but the outcome is always the same, death. Whether it is the pituitary gland that malfunctions and will not release enough growth hormone to sustain the kit or a failure of the target cells and organs to respond to this hormone we are unsure of. 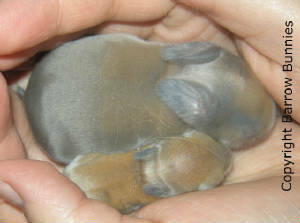 Left, you will find an example of what will happen when you breed a true dwarf rabbit (Dwdw) to a false dwarf rabbit (DwDw). This is a very common mating as many consider false does (otherwise known as brood does) to make the most able mothers. So from this you can deduct that you have a 50% chance of throwing false dwarfs, a 50% chance of throwing true dwarfs and 0% chance of peanuts. Next we will look at a true dwarf to true dwarf mating. Looking at the results you will notice there is a 25% chance of a false dwarf, 50% chance of true dwarfs and 25% of peanuts. This is the theory but will not always pan out this way, unfortunately it is not uncommon to have entire litters of peanuts, disheartening, but it's a risk we as breeders take. You can normally tell from birth a true from false. However if you cannot tell at this age then it also becomes evident around the four-six week age, when you will probably be making your running on selections. 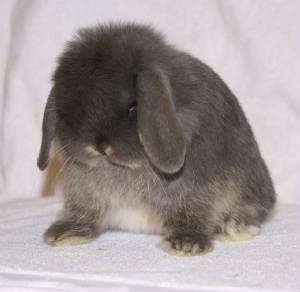 We have now experienced Max factor with some of the Netherland Dwarfs we brought in. 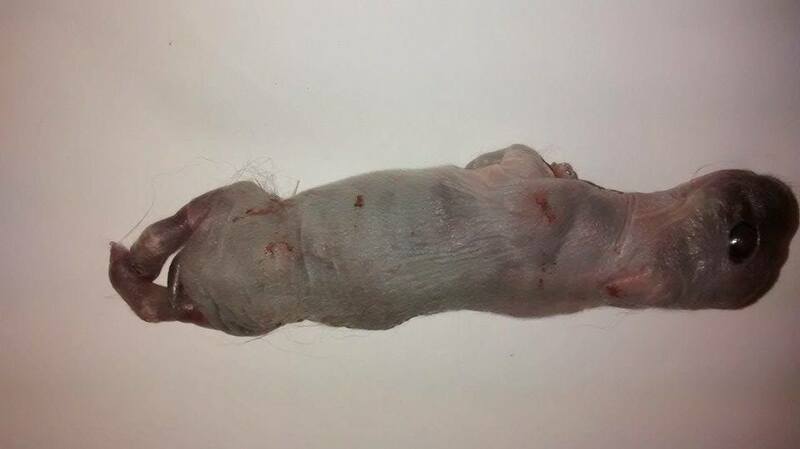 Not a pleasant experience and for that reason we decided to stop breeding our otter Nethies. A carrier is often prized by some exhibitors around the world, as it exhibits longer fur between the ears giving the appearance of a larger head. The Max factor gene is a recessive gene. The kit that exhibit the double dose of this gene often have fully open eye(s) or sometimes just partially open, even a slit (sometimes one can see fur stuck to the eye) Open eyes however slight/severe will lead to blindness. The limbs are deformed, twisted or splayed. The fur has spiked or very soft long appearance due to the lack of guard hairs. Another type of abnormal kit is the foetal giant. Due to the stress of a prolonged and difficult delivery of the over sized kit, usually 2 to 3 times normal size, it will have died from asphyxiation. 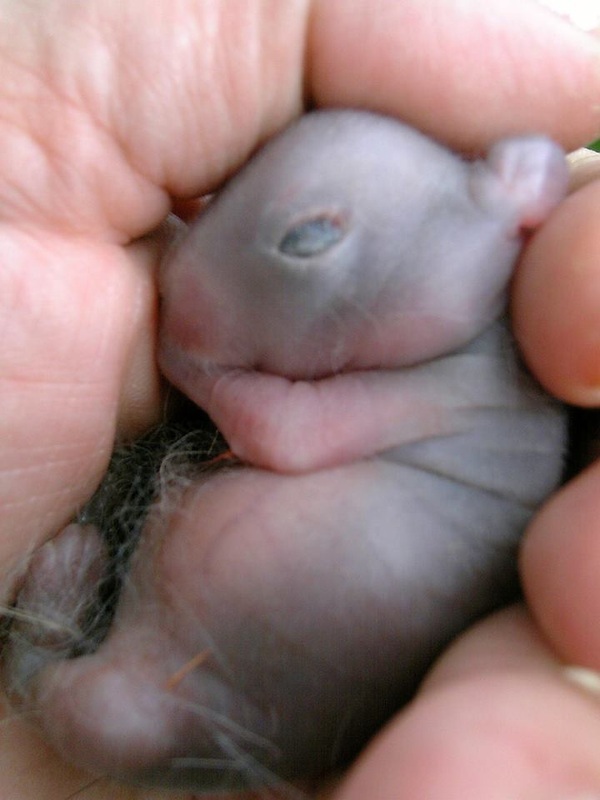 The following kits, if any, will either been born dead or may be delivered alive but are normally scattered by the mother due to stress. It has been suggested that over feeding a pregnant doe may be the cause of this. Most breeders keep a pregnant doe on her normal rations increasing only in the last week before she kindles. Pregnancy and kindling in does is not stressful to their bodies, it's the feeding that takes its toll on the doe, at which point she should be fed freely. An additional area for consideration that I believe may be a cause of a foetal giant is when conditions for kindling aren't exactly right. That is to say lack of light/heat/correct nutrition. Consider in nature, what time of year the mating occurs? From Spring time and onwards when the vegetation is growing, perfect for nourishing the pregnant and lactating doe and later her kits. So, perhaps if any of these requirements are missing the does body will have some resorption of the foetuses to give the remaining one (or more) a better chance of survival. As a result more nutrients will be supplied to just one foetus or few, certainly less than initially conceived. Conversely, extreme heat may also cause this condition. Nature can be cruel. It is important that should you decide to breed you consider these complications and the possible outcome. Occasionally the dam may be at risk her self due to a kit being stuck, requiring an immediate visit to the vets. Removal of a stuck kit can be done by an experienced keeper, but if due care is not taken, injury to the dam or the breaking apart of the stuck dead kit may cause further complications. Stroking a doe gently but firmly on her abdomen may sometimes encourage contractions. 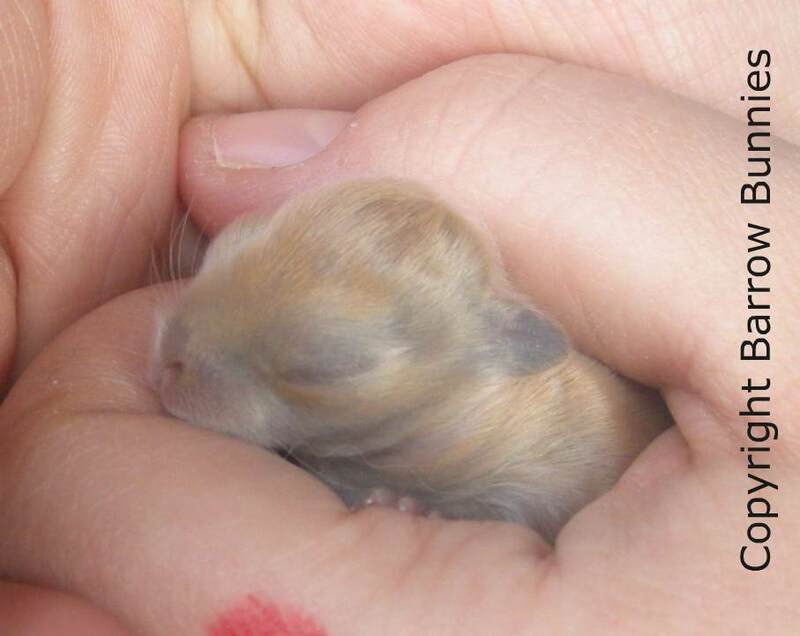 Some does will retain kits, often being delivered dead several days after the rest of the litter or may retain their kit(s) indefinitely which may result in either infertility or an infection.